Loved this place. Aphrodite incredibly helpful. Very attractive apartments and a beautiful pool. 3 minute stroll to town. Great swimming close by. Made to feel very welcome. The owner Afroditi was exceptional. She was very helpful. The apartment was very comfortable and spotlessly clean. The location was also very good. Greka Ionian Suites are wonderful, and so is Afrodite - the most helpful and supportive host who really cares about her guests. The beds are amazing - king size with a memory foam mattress, allowing the best night's sleep I've had in years. Great quality fixtures and fittings, shower very powerful and always lots of hot water. Pool is just the right size, with great quality sun beds and umbrellas, plus it's all spotlessly clean. The location is great, a few minute's walk from the harbour and local beaches, restaurants and bars. I would not hesitate to recommend to others - a very special place. Everything about our stay at Greka was just what we were looking for. Great comfortable clean apartment with a lovely view from the balcony, and only a short walk down the road to the harbour. Afroditi gave us so many suggestions on where to go, what to see/do and (most importantly) the best places to eat! She really is the perfect host. Also, Agia Efimia is the perfect location to stay on the island because it has lots of restaurants and bars and is also pretty central for exploring the other towns and beaches during the day. I wouldn’t hesitate to recommend Greka and indeed Agia to anyone going to Kefalonia. Enjoy! Wonderful host, Affroditi. Very welcoming and friendly. Affroditi explained the local area, beaches, restaurants and walks. Accommodation was very clean and comfortable. 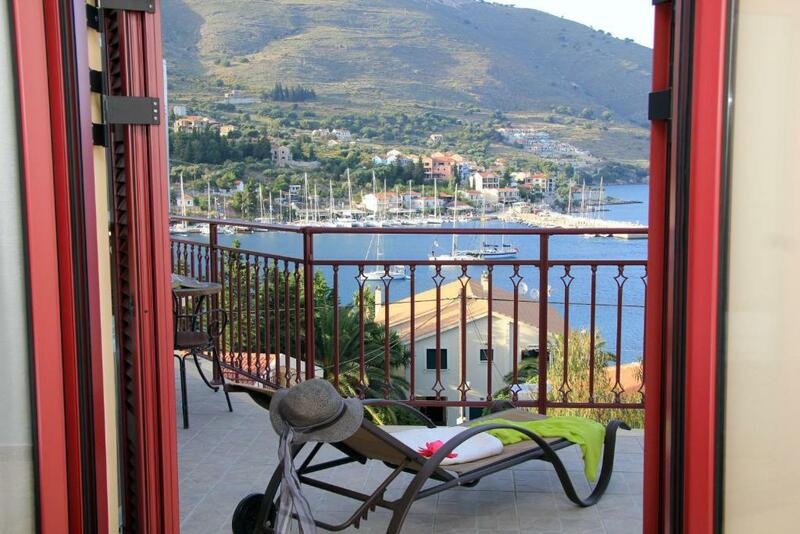 Great view from the apartment ‘ Kefalonia’. Would love to stay longer next time. Very clean, great location, lovely pool. Afroditi was so helpful with finding all the best places to eat and visit on the island nearby. Many things to like, but would definitely include: very clean accommodation with regular changes of towels and bed linen; great shower; loads of great storage for clothes and all those extras we take on holiday; great host; comfy bed.... Great little find!! Brilliant premises which is well equiped and kept immaculately clean by staff. 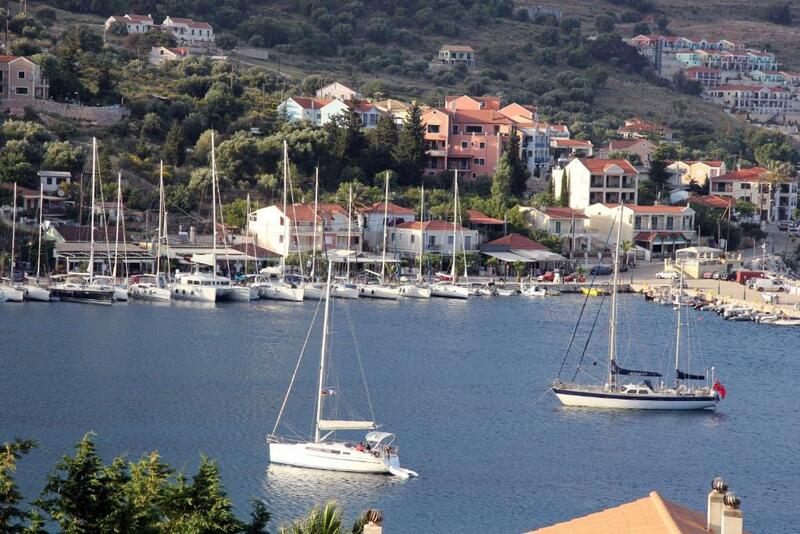 Premises located in Agia Efimia and so close to all that this beautiful port has to offer. 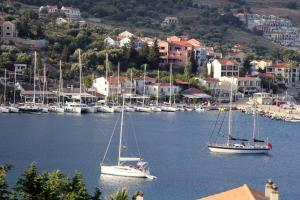 Main tourist sites at this end of Kefalonia island located in close proximity by car. Great host with awesome knowledge of this island. A most enjoyable stay and looking forward to return here once again. Lock in a great price for Greka Ionian Suites - rated 9.5 by recent guests. Overlooking the Ionian Sea, Greka Suites features a seasonal outdoor swimming pool and offers free Wi-Fi. It has a garden and provides air-conditioned rooms with satellite TV and private balconies. The spacious apartments feature a living room, dining area, fully equipped kitchen and DVD player. 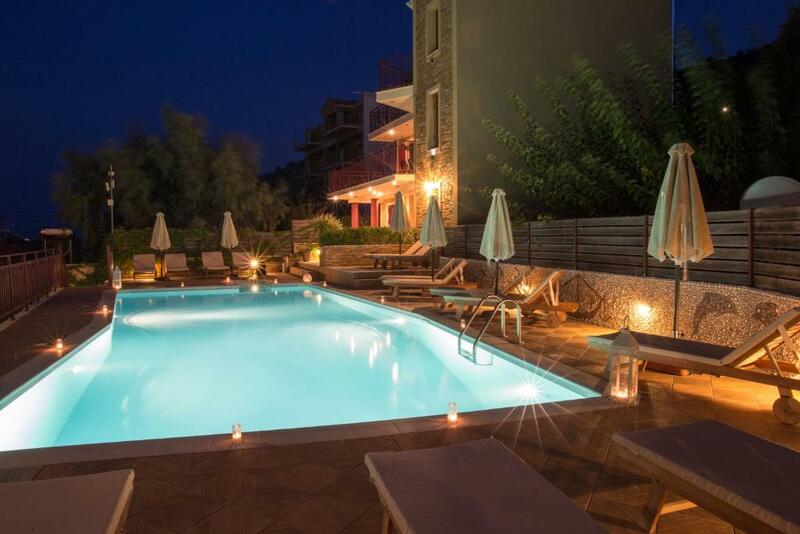 Guests of Greka can relax in the hotel’s terrace, and have a refreshing swim at the pool. 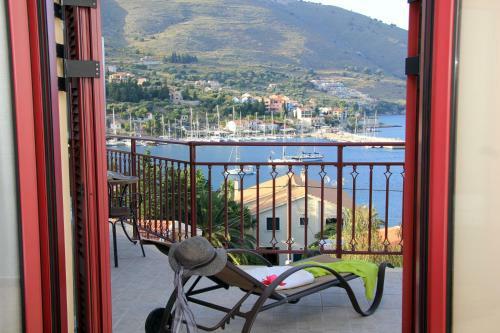 Greka Ionian Suites is situated in Agia Efimia, a 40-minute drive to Argostoli. 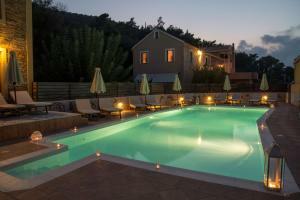 It is less than 28 miles away from Kefalonia Island International Airport. Free parking is possible nearby the hotel. This is our guests' favourite part of Ayia Evfimia, according to independent reviews. This property is also rated for the best value in Ayia Evfimia! Guests are getting more for their money when compared to other properties in this city. Greka Ionian Suites has been welcoming Booking.com guests since 6 Aug 2010. When would you like to stay at Greka Ionian Suites? This room type has a balcony offering sea or pool views. This room type has a spacious balcony with garden views. This room type is located on the ground floor and opens to a patio with no view. Please note that it is located close to the main street and may suffer from high levels of noise. This spacious, split-level unit features a living room with fireplace and opens to balconies overlooking the sea. It also includes 4 separate bedrooms, 4 bathrooms and a fully equipped kitchen. House rules Greka Ionian Suites takes special requests - add in the next step! Greka Ionian Suites accepts these cards and reserves the right to temporarily hold an amount prior to arrival. Please note that the swimming pool is seasonal and operates from May 1 until October 20. Please inform Greka Ionian Suites in advance of your expected arrival time. You can use the Special Requests box when booking, or contact the property directly with the contact details provided in your confirmation. We stayed in the Grande Maisonette whish was stunning, however it was slightly overpriced. very good location. The owner was always happy to help with information on local restaurants, places to go and the best beaches, she was really helpful and friendly. Spotlessly clean would definitely return. I simply can't think of any improvements. Afrodite has it all covered! Everything was perfect! Location, host, cleanliness of apartment... Wouldn't change a thing - do not hesitate to book here, I'd stay here again! The location of the accomodation was great and from our apartment we had a lovely view over the harbour. Also the host was really wonderful and gave us so many great tips. We were lucky enough to be able to book an extra day last minute, as we didn't want to leave! Spotlessly clean, well equipped apartments in a lovely location. Aphrodite was so welcoming and helpful giving us tips on where to visit, restaurants etc. Nothing was too much trouble and her lovely manner created a friendly atmosphere around the pool and with the other guests. We will definitely be back.